Sen. Bernie Sanders, D-Vt., may have received his most potent endorsement yet -- from comedian Tommy Chong, who implored voters to choose Sanders as "commander in kush." 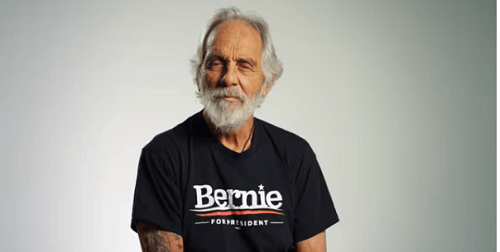 In a two-minute video posted to YouTube Friday evening, "a special announcement from Tommy Chong" started out by comparing the candidates in this year's Democratic presidential race to plants. "There is one candidate who stands head and shoulders above them all," the sleepy-eyed comedian said. "Who has weathered many storms and is totally ready to be the commander in chief, or the commander in kush, as I like to say." Chong embraced Sanders' views on immigration and a living wage -- and yes, marijuana legalization.